The new S4 /i Technology can connect with the camera through their innovative Lens Data System. 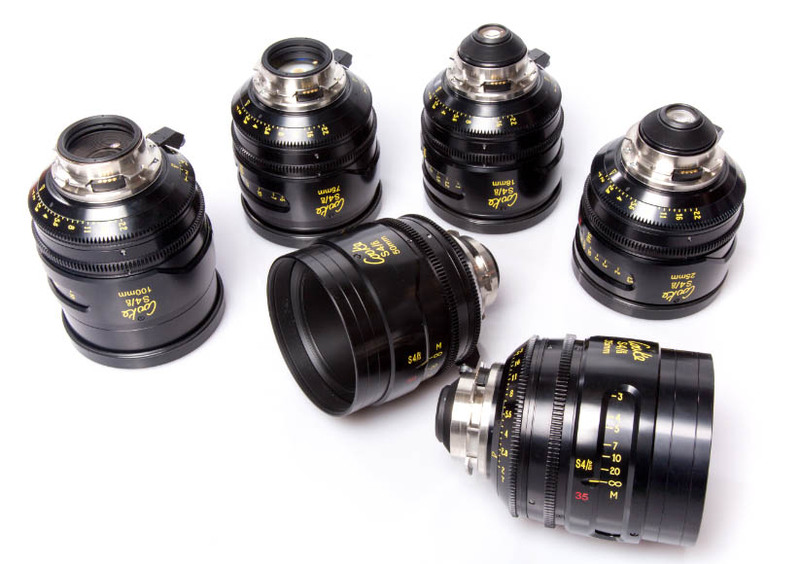 They are colour-matched and compatible with Cooke's, 18-100mm T3.0 and 25-250mm T3.7, 15-40mm, T2.0 CXX zoom lenses and the SK4 16mm lenses. They deliver, thanks to their outstanding anti-flare layer and their engineering minimum distortion, veiling glare and spherical aberrations at full aperture. After almost half a century from their first realize, the Cooke S2 and S3 were still very appreciated among cinematographers and directors for their unique look. When in 1998 Cooke gave us the new S4, they rapidly became an industry standard for their warmth color wise, their soft definition and low contrast. Other key features are their color delivery, outstanding on skin tones. The Cooke S4i are the second generation of this serie and feature the i-Technology for lens data system that gives director pf photography, camera operators and focus pullers crucial info on the lens settings such as the focus distance, the iris aperture, depth of field, hyperfocal distance, lens serial number, focal length and owner info. The Cooke S4i T 2 deliver optimal performance, both mechanically and optically, together with an outstanding flare and optical aberration control when wide open. The focus ring has a special built for extra smooth focus racks, while their modular constitution makes maintenance easier. There are 18 focal lengths available for the S4i serie, covering a range between 12 and 300mm with an average weight of 1.8 kg. Color wise, they perfectly match with Cooke zooms 18-100mm T 3, 25-250mm T 3.7, 15-40mm T 2.0 CXX and the super16 S4. Love those lenses, the lds system is extremely precise and the build is outstanding. Not to mention the great optical performance! Control of flare and distortions. The old Cooke look with LDS technology!